EdFramed was published for the first time today in it's oficial site www.edframed.com in it's original basque language and also translated to spanish and english. The 55 strips of the first season were published on a daily basis between November 21, 2011 and January 14, 2012 in the oficial www.edframed.com site. 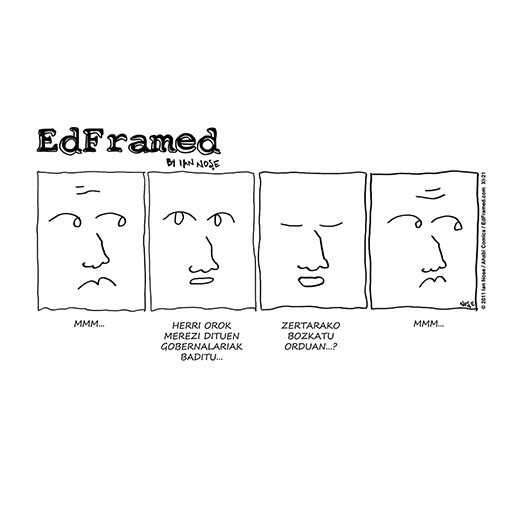 Lately EdFramed's website has been redesigned in Frozeen, a new comics publishing platform developed by AA&NN. 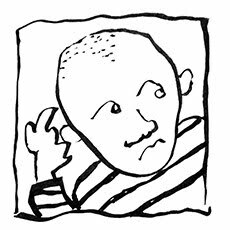 All the previous strips as well as the ones to come will be published there. EdFramed is also published on facebook and instagram.